Next was another play with Frankston Theatre Group. 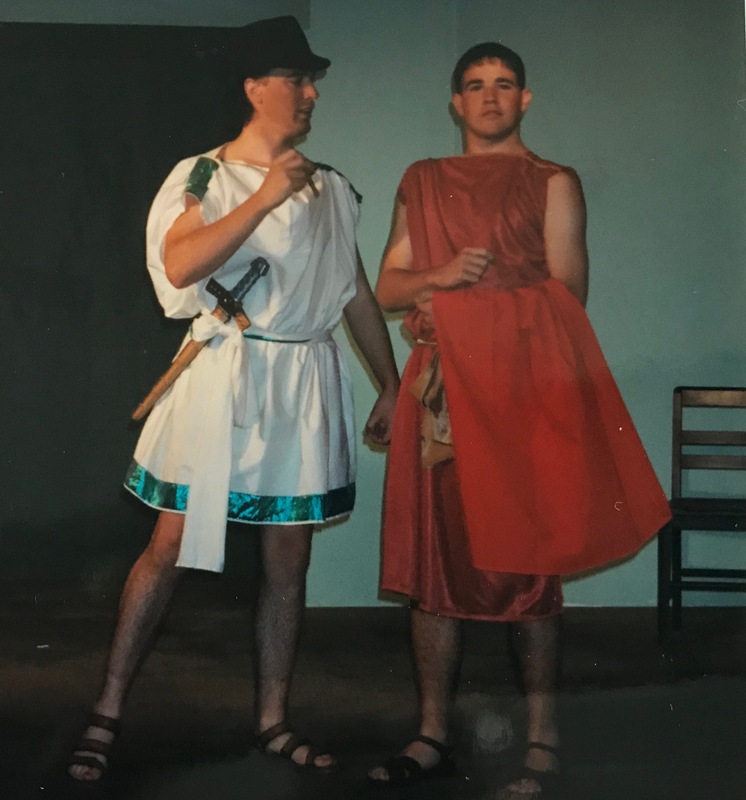 A short play called Rinse The Blood Off My Toga in which I played private eye Flavius Maximus. Then, in 1997, a phone call out of the blue from a stranger who got my number from someone from Frankston Theatre Group. 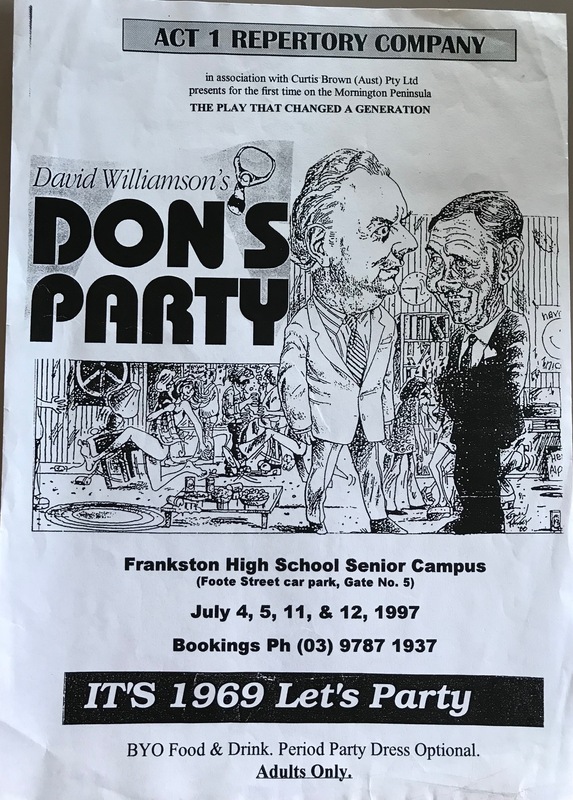 He was doing a classic Aussie play called Don’s Party written by David Williamson. Also a hilarious film starring some iconic Aussies in the early 1970s. This show was being produced by a different theatre group from the area who’s name I won’t mention for reasons coming up. A few weeks into rehearsals, the young fella coming to do sound and lighting came to watch rehearsals to get an idea what he was to do. By young I mean he was under 18 but not a lot. I should also point out that before any Theatre Group agrees to support a play, the script and director are submitted for approval by the committee. Which means they read it first (theoretically). So when the young fella got home and told his parents that the “C” word was mentioned twice in the one and a half hour play. The parents mentioned it to the theatre company who then went into shock. Apparently they never realised. Does this mean that none of the approval committee read the actual play before approving it? Which makes them dickheads. Or were they lying about not knowing to save face with the parents? Which make them arseholes! Anyway, they then contacted the director and said, alter the lines. 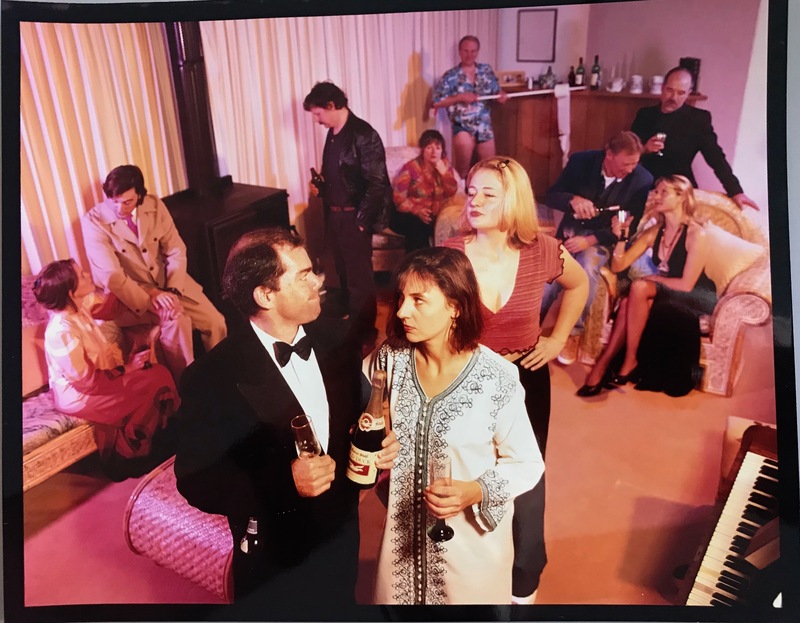 The director replied with something like “You were given the script months ago and we are a month into rehearsing the play as it is written.” They replied with change it or don’t do the play.Fully cast and a month into rehearsals. Yep, they’re arseholes. At the next rehearsal the director told us all what was going on before we started. He gave us the choice. He said that we could change the lines in question or that we could probably finance the show ourselves, independent of any theatre companies and try to find our own venue. This was met with a unanimous “Tell them to GET F@&#ED!! !” So he did and we started working towards making it work. A venue was found. Staging was found. Different people on the sound and light were found. A company happy to have their name associated was found. Act 1 Repertory Company. All 4 shows over the 2 weeks sold out. In fact the last night was a bit annoying with audience sitting on the front of the stage because we ran out of seats. It also meant that instead of us having to pay our membership to the theatre group to be allowed to earn them money from tickets, we got a profit share and I received my first envelope of cash in this game.